Dear teammates, all radio fans and fans of telegraph! 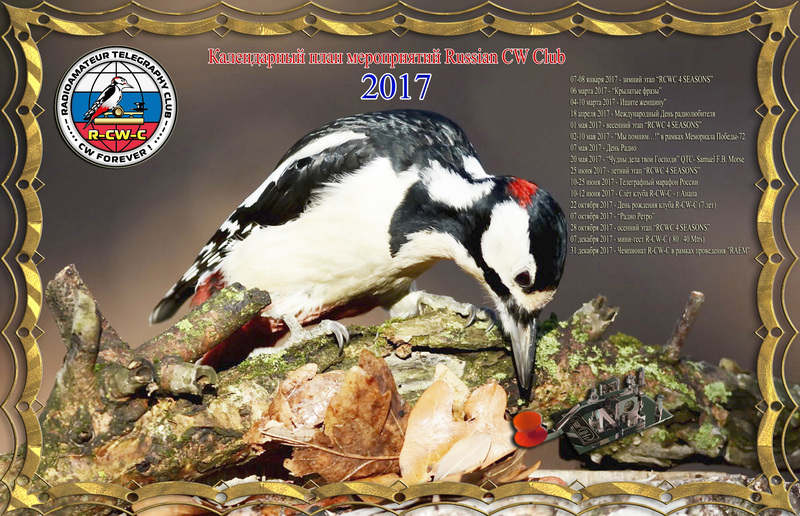 Council of club warmly congratulates you coming New year – the brightest, beautiful and cheerful holiday which brings all joy and expectation of a miracle! The main thing in this holiday – the warm-heartedness uniting congenial people, belief and expectation of changes to the best! We wish you that in New year your most intimate desires were granted! Happiness, health and wellbeing to you, your families, our dear veterans! Let New year will be included into your houses, granting the world and good, and New Year's holidays will fill you with new energy! Let you be accompanied by good luck! Let your family will be happy! 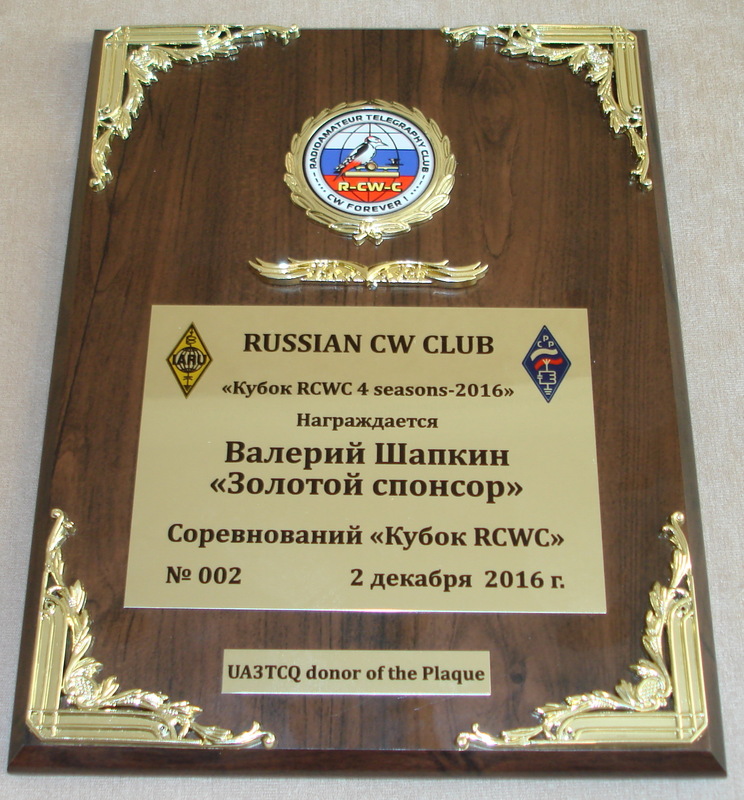 Council of club of RCWC! 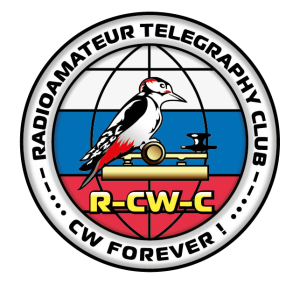 3 tour - 08.01.2017 - 80M - (18:00 UTC – 18:59 UTC) - (3510 - 3560 KHz). 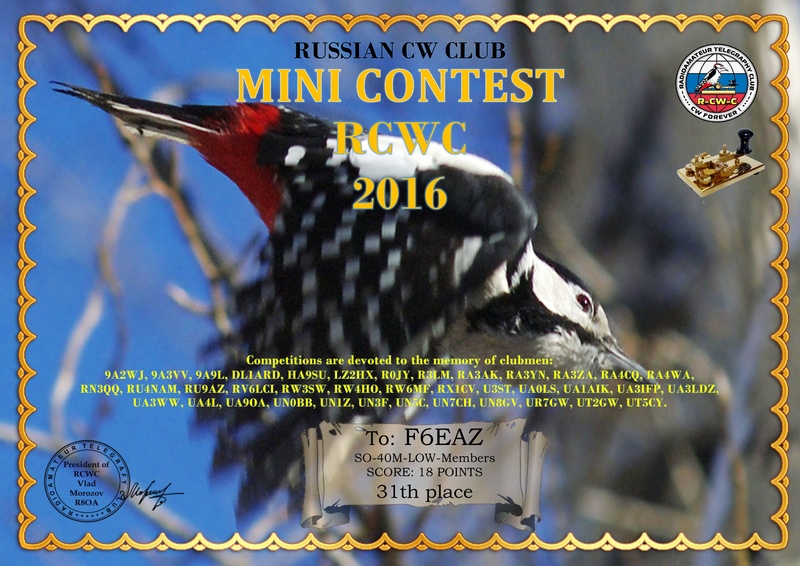 Are made and prepare for sending an award for winners and participants of a cup of RCWC - 2016. 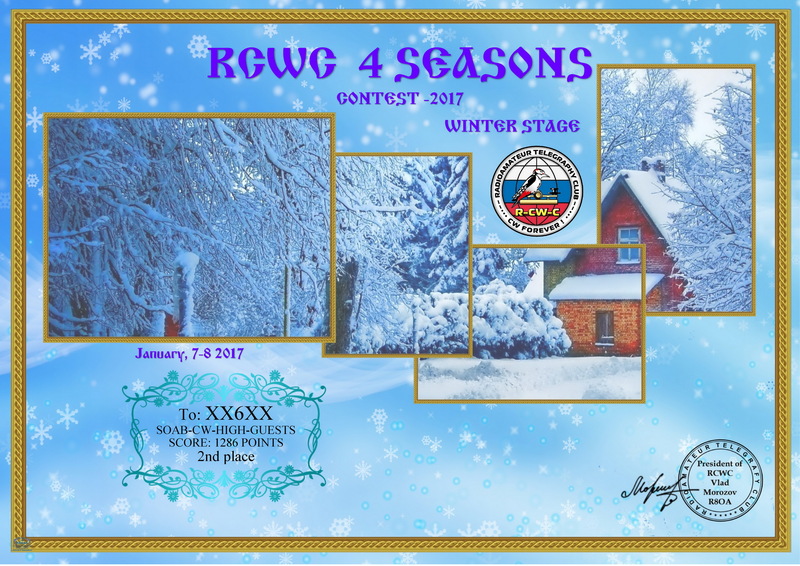 I will remind that according to regulations by rules of sponsoring rewarding following the results of a year in the Cup "4 seasons with RCWC", is provided to any radio fan to the patron having a call sign, and also not having call sign who can note and award at the good will any winner or the participant and in these competitions, in any class or group. Thanks to all participants and sponsors!